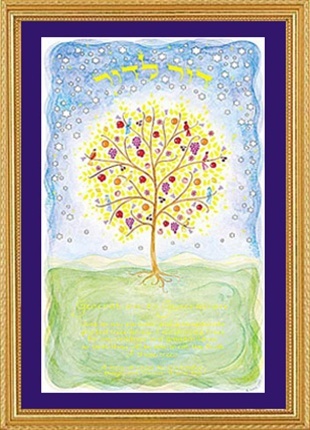 A beautiful illumination of the tree of life is enhanced by the meaningful quotation from the Talmud "Just as my parents and grandparents planted trees for me, I am planting trees for my children and grandchildren so that they will be able to eat the fruit of these trees." 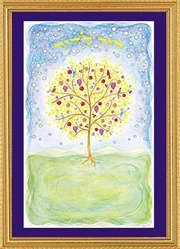 This print is an ideal gift for parents or grandparents, for teachers and for new babies or to decorate a child's room. It is also an excellent presentation or tribute gift.